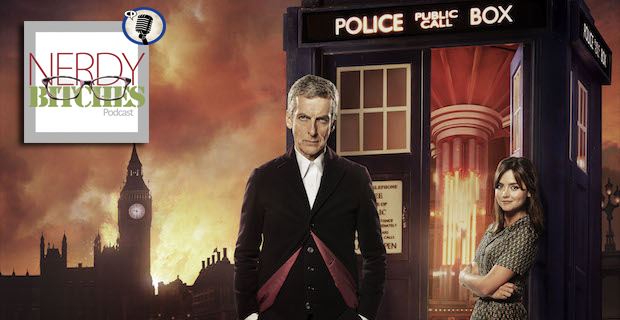 In this episode, Liz and Heather finally discuss Doctor Who Season 9, along with our hopes, dreams, and fears about Season 10, along with the upcoming departure of both Steven Moffett and our beloved Peter Capaldi! We are SUPER excited to announce that we have been selected for the second year to be part of the 2017 Comicpalooza Podcast Partnership Program!!! What that means is that we will be attending the event as part of their press team, will be bringing you all the great info from the floor, and may even be having our own events at the con! If you have never been to a convention like this before, get your tickets NOW!! It is totally worth it and you will love it! We have amazing guests coming this year, including most of the Marvel Defenders, Felicia Day, Chuck Norris, and many many more!! Stay tuned for more big news! May 12-14, 2017 at the George R. Brown Convention Center in Houston, Texas! Just a note – This is actually our second recording, but we lost the first one, so just know, you missed the Oscar-worthy edition. But, this is finally our chance to get around to talking about Season 9 and how much we really enjoyed it… even Clara (who we typically hated)!! We go through each of the two-fers in the season and then talk about the new writer and whomever the new Doctor might be. We loved that they brought back Missy for the first few episodes. She is a great villain and we love her. 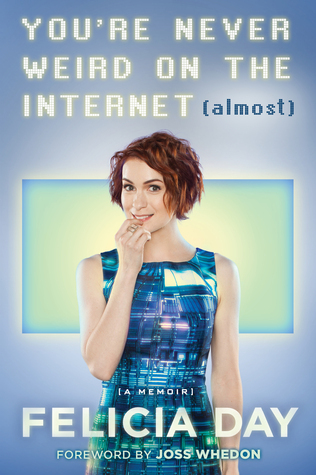 You’re Never Weird on the Internet (Almost) by Felicia Day! Felicia will be at Comicpalooza this year, so we have our fingers crossed that we will get to meet her and maybe even get her on the podcast! So, get to reading! And feel free to tweet her and let her know to look for us! Be the Match swabs people for the National Bone Marrow Registry, and they will have a booth at Comicpalooza this year, and Liz wants YOU to get over there and swab to see if you could possibly be the match for 2 year old Roman. (join.bethematch.org/teamroman) It’s really for anyone who could possibly need a bone marrow transplant, so get out there and be a hero, with or without a cape! <3 How can you resist this face??? If you want to be a part of our special event during the convention, email ContactUs@nerdybitches.com and let us know! We would love to see you there! Previous Post Episode 67 – Robots and Cyborgs and Droids, Oh My! !